These Bay of Plenty Regional Council funded Timm's possum traps, are available on loan to any Lake Ōkareka residents, if you contact Sandra & Mike Goodwin 3628 865. The Ōkareka community has 10 traps which were funded as “loan traps” by Bay of Plenty Regional Council. These traps have been borrowed at various times by members of the community. 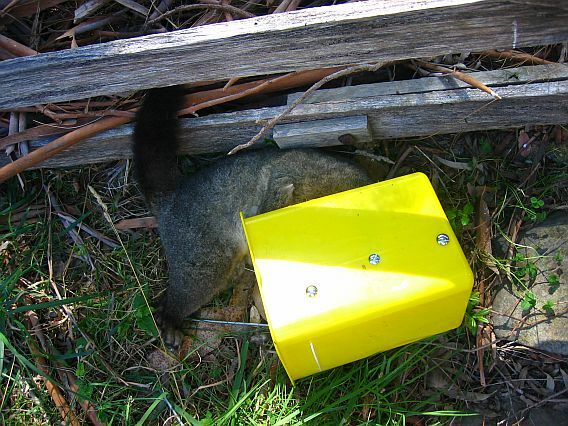 If you are having possum problems – maybe eating fruit or flowers or they are making a nuisance of themselves at night – and you would like to borrow a Timm's trap, give us a call. We will provide you with some instructions about how to use the traps. We will also give you some advice about what seems to work best as “bait” - such as apple with cinnamon, or apple and peanut butter. If you can keep a note of any possums caught and pass that on to us when you return the trap. We like to know for our records what is being caught around the place and we can also pass that on to the regional council. The brushtail possum is a serious pest to native bush, exotic forests, pastoral farms, orchards, nurseries, parks and home gardens. 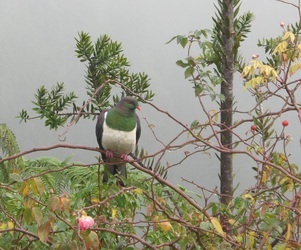 It is one of the most costly nuisances ever introduced to New Zealand and there is now no prospect of completely eradicating it, but we can take steps to control them. Possums eat native trees and plants, berries, flowers, insects and snails. Rata, kamahi, five finger, tawa and pohutukawa are especially vulnerable to possum damage as these tree species are more palatable. 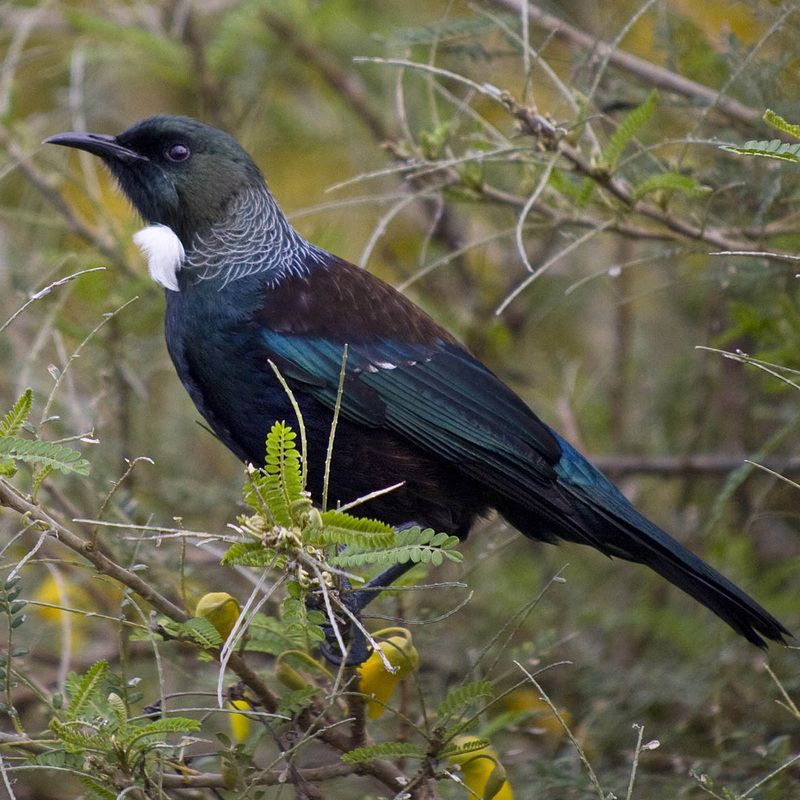 They are also known to eat the eggs and chicks of native birds including the endangered kiwi, kukupa and kokako. 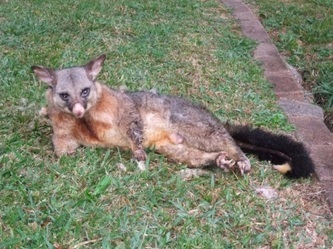 An adult possum in weighs approximately 2-3kg and can live for about seven to nine years. They breed in autumn and often again in November. Possums are nocturnal, feeding at night and sleeping in nests or dens during the day. For more information or to borrow a trap, please contact Mike and Sandra Goodwin 3628 865. Rats eat almost anything including native species – like lizards, insects and birds and their eggs – and native seeds needed for forest regeneration. They also compete with birds for food and attract larger pests, like ferrets and stoats, which eat rats. As well as affecting the environment, rats can spread serious diseases that are harmful to human and animals. 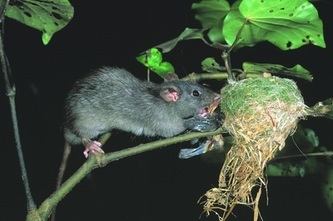 Although wild rats typically live just 12 to 18 months, they are prolific breeders that can produce up to 10 young every month. Landcare Ōkareka is managing the rat bait for the village residents and property owners. This is run to support the Forest & Bird volunteer managed pest control programme in the Lake Tikitapu Scenic Reserve. 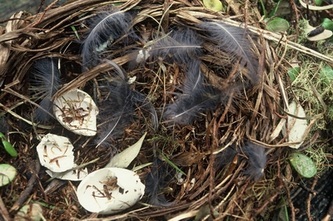 Now is the time to target animal pests like rats and possums, before the birds begin nesting. Purchase a Bait Station and become part of the “Rat Bait Brigade” here at Lake Ōkareka. 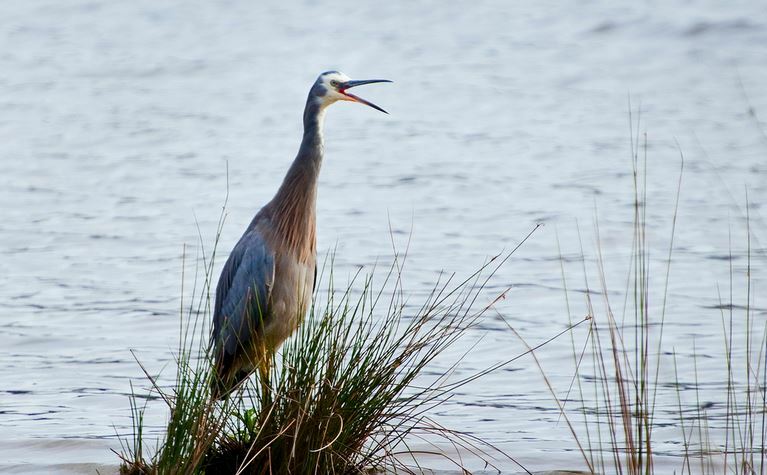 Ditrac rat bait provided by Bay of Plenty Regional Council is however, once again available to individual property owners, to support enhancing the biodiversity at Lake Ōkareka. We are especially interested in getting more lakeside properties involved with rat bait stations. 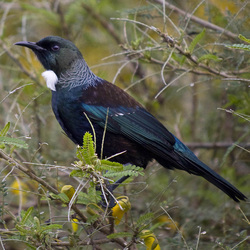 We believe that the results Lake Tarawera are getting with the increase in numbers of dab chicks could be due in part to their successful rat bait programme. They have many lake-side properties there involved. If you are interested, but maybe feel that you do not come to your property often enough to keep the bait station full, please contact us. We may be able to work out a partnering system with someone who lives here permanently, and is prepared to keep your bait station filled. Ditrac is a poison, but it does not cause secondary poisoning on cats, dogs or birds such as moreporks if they eat poisoned rats or mice. 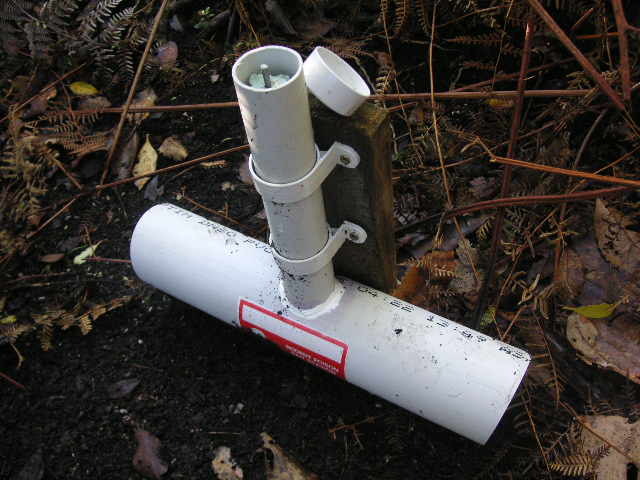 It is recommended that bait be fed in a type of bait station, fitted with a locating rod, that does not allow the rats to carry baits away to be stored. The baits have holes in them and they thread onto the rod. Rats and mice eat the bait in the bait station. The bait station protects the bait from the weather. It means also that bait cannot be eaten by non-target species such as birds,dogs, cats and children. 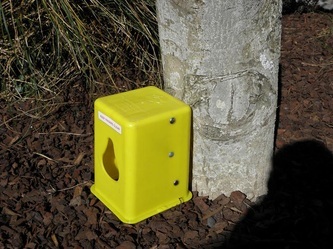 Bait stations are available by contacting Mike and Sandra Goodwin 362 8865 or email sgoodwin@actrix.co.nz – we are now accessing a small black plastic box shaped bait station. These are available fr $25. They can be locked if required. Do you have a bait station already? That's great if you do. When you collect your bait you will need to confirm your name and address and the address of the bait station. We need to update our data base about bait stations and where they are located throughout Okareka – and many thanks to everyone who has done this so far. How do I get bait now? Bait is available in labelled, zip lock bags, containing 12 rat baits. This is enough bait to fill one bait station 2 times during a month. Bait stations should usually not be filled more than twice during a month, otherwise you are wasting bait and feeding potentially dead rats and mice. If you require the bait or a Bob Scope bait station for $30, please contact Mike and Sandra Goodwin phone 362 8865, 2 Pryce Road or Rod Stace phone 362 8523, 30 Summit Road.